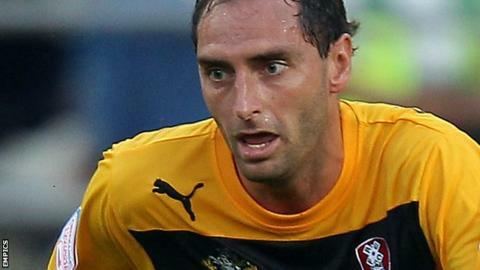 Nicky Hunt has been discharged from hospital after suffering concussion in Accrington's 0-0 draw at Plymouth. Hunt spent Saturday evening in hospital while precautionary tests were carried out and was allowed to return home to the north west on Sunday. Speaking immediately after the game, Stanley manager Leam Richardson told BBC Radio Lancashire: "He suffered a severe concussion but he was in good hands. "Our guys and the Plymouth guys looked after him really well. He'd been doing great for us before that - he's a great lad and a great character." Last season after Stanley defender Tom Bender was knocked unconscious.